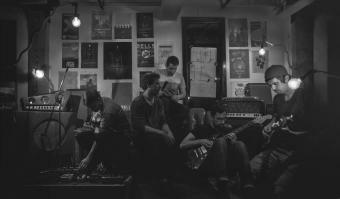 Indie band BELLS, local mainstays in the Lancaster music scene, have been producing and performing music together since late 2006. They have had the pleasure of playing main stages at the largest local venues and fests. Most notable being WXPN's stage at Launch Fest, and also sharing the stage at the Chameleon Club with numerous national acts. The band has been featured in local publications, and their music has been used several times in local news spots, as well as product videos for popular internet shoppery ThinkGeek.com. Several dance studios across the US have also taken a shine to the band and featured BELLS music in dance routines.